Abq Jew ® Blog: Onward, Christian Soldiers! 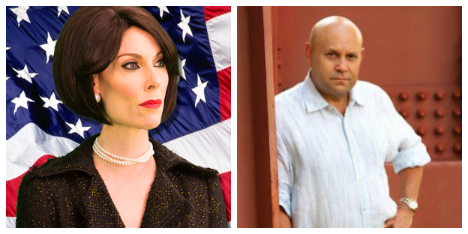 Mrs Betty Bowers vs Mr Mikey Weinstein: Alas, at last, the Black Fast has passed. And now we return to The Business At Hand. Abq Jew speaks, of course, of The War Against Christianity. Not, of course, the actual Genocide of Christians by ISIL. That would be much too serious. Nor, of course, does Abq Jew speak of the Merry Christmas - Happy Holidays Controversy. That would be much too not serious - especially with the dual holiday of Chrismukkah (see Get Your Goat On! and All Ye Faithful) approaching. No, Abq Jew has determined by SWAG that he must once again (see Mikey Weinstein to Speak @ B'nai Israel!) tell you about the difficult and dangerous work that Mikey Weinstein, America's Toughest Jew, does every day in defense of our freedoms. Note: Mikey doesn't call himself America's Toughest Jew. Abq Jew does call him that, because he is. And Abq Jew must tell you about the new force that has been deployed to fight Mikey - Mrs Betty Bowers, America's Best Christian™. Note: Mrs Betty Bowers does call herself America's Best Christian™. And Abq Jew also calls her that, because she's trademarked. Described by Harper’s magazine as “the constitutional conscience of the U.S. military, a man determined to force accountability”, Mikey’s family has a long and distinguished U.S. military history spanning three consecutive generations of military academy graduates and over 130 years of combined active duty military service in every major combat engagement our country has been in from World War I to the current Global War on Terror. 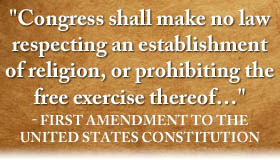 ensuring that all members of the United States Armed Forces fully receive the Constitutional guarantee of religious freedom to which they and all Americans are entitled by virtue of the Establishment Clause of the First Amendment. See? That's not too hard, is it? Well yes, apparently it is. You can follow Mikey and the MRFFers' (Good name for a band, Mikey! Just sayin'.) trials and travails on Facebook, Twitter, and YouTube. And while Mikey and the MRFFers' talking points should be just that - instead arrow points, spear points, and bullet points are often directed back at them. You could write a book - and Mikey's wife Bonnie has. So much for Abq Jew's protagonist. Abq Jew has for some time been meaning to tell you, his loyal readers, about Mrs Betty Bowers, America's Best Christian™. America’s Best Christian™, Mrs. Betty Bowers, rebukes the Military Religious Freedom Foundation, our secular republic’s biggest obstacle to radical, right-wing Christianity using our military to recruit reluctant troops – and provoke End Times. This rebuke cannot go unchallenged! Mrs. Betty Bowers is a founding member of the Ladies of Landover and is consistently Landover Baptist's most reliable financial supporter. Upon being graduated from Duke University, Betty sold real estate for Harry Norman Realty in Atlanta, Georgia. After many successful years of showing multi-million dollar mansions in the dogwood speckled glens of Buckhead, Mrs. Bowers decided that she would rather live in opulence, instead of making it available to those less deserving. As Mrs. Bowers recounts, "God called me out of pandering to the needs of the inexplicably wealthy and promised that if I devoted my fabulous business instincts to Him, I would one day never have to share a formal, Italianate living room, much less a German SUV, with someone more wealthy than I. Praise the Lord!" This calling led Mrs. Bowers to establish her first Christian enterprise -Mrs. Betty Bowers Christian Crack Whore Ministry. And as for The Landover Baptist Church. Here is a statement of their beliefs. Our Policy Against The Unsaved is Based on Scripture! As most churches liberalize or modernicate themselves they in turn reject the commandments written by God in the Holy Bible. The Landover Baptist Church continues to do exactly what scripture teaches every Christian to do. And that is to keep the temple of the living God a clean vessel, untarnished by even a hint of fellowship with the unrighteous! Here is Mrs Betty Bowers' aforementioned video rebuke of Mikey and the MRFF. Caution: Contains fiery and incendiary language! You can follow the battles of Mrs Betty Bowers, America’s Best Christian™, on Facebook, Twitter, and YouTube. So much for Abq Jew's antagonist. 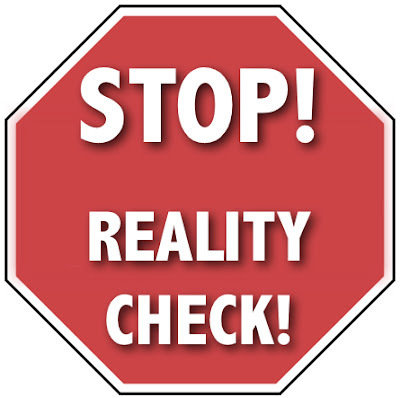 Abq Jew must stop right here to make sure that you, his loyal readers, are still with him. Let's review quickly. Mrs Betty Bowers, America’s Best Christian™, is an entirely fictional character created and written by Andrew Bradley - and played to the hilt by Deven Green, a Canadian comedian, performer, and musician. Deven is known for her video comedy parodies, as well as for her many, many lines of merchandise. Mikey Weinstein, Esq, America’s Toughest Jew, is an entirely nonfictional character who has been named one of the 50 most influential Jews in America by the Forward. Mikey is known for his forceful, iconoclastic nature, as well as for his many, many lines of merchandise. He has great respect for Mikey Weinstein and the important work he does. He has pretty good respect for Andrew Bradley and Deven Green, and the important and delightful work they do. Abq Jew has The Abq Jew App! Thx for recognizing Mikey, dude's more pissed-off than I.
to Wisconsin, ask around first and establish affinity groups as there are lots of bigots about. We didn't reelect Scott Walker out of enlightenment. 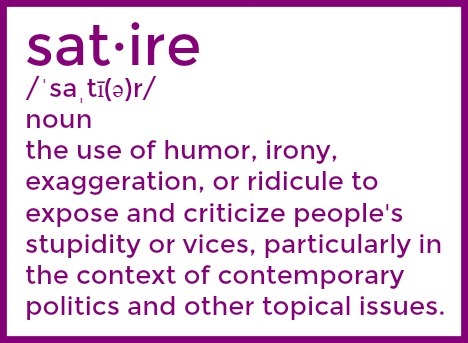 This is an interesting satire. As a Christian, I do have to say it makes me cringe that one reason for this satire is the fact that many Christians do not obey Jesus Christ's commands to love neighbors as oneself,and love enemies. I am guilty sometimes of not loving, and I have to constantly remind myself to love those who think/believe differently than I do. Personally, it breaks my heart how Christians have horribly persecuted Jewish people. I do believe God will judge every Christian who has hurt a Jewish person or any other person. So, as a Christian, I just want to say how ashamed I am of Christians who have hurt Jewish people and other people who are not Christian or of the same group of Christians. Blessings.